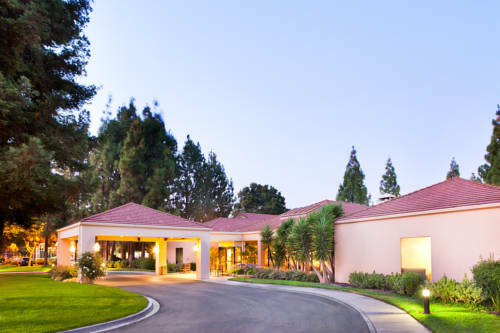 Experience a satisfying stay on Hopyard Road when booking accommodations at the Courtyard Pleasanton. Our hotel offers comfort, convenience, and style on the sunny side of the bay. Attractions such as Alameda County Fairgrounds, Del Valle Regional Park, Livermore Wine Country will keep you entertained during your visit. Plus, the nearby BART station connects you to all of the action in Oakland and San Francisco. After a day of adventure, unwind in well-appointed rooms and suites with free Wi-Fi, luxury bedding and modern amenities designed for today's traveler. The Bistro - Eat. Drink. Connect., our casual eatery, will keep you well-nourished for breakfast and dinner with hearty and healthy meals plus Starbucks beverages and evening cocktails. Utilize our 24-hour fitness center with cardio equipment and free weights to work up a sweat, or go for a refreshing swim in the outdoor pool. Whether in town for business or leisure, make Courtyard Pleasanton your destination for relaxation. The world's largest collection of computing artifacts. Has everything from an Altair 8800 to a Cray supercomputer, and the world's first computer mouse (in a wood case). Cartoon mascot of Western Exterminator keeps vermin away from Highway 101.